Starting with the mechanical updates, the Touring Sport 2.4-litre diesel now features a 6-speed manual gearbox borrowed from the Fortuner. However, the Innova Crysta VX 2.4 MT, on which the Touring Sport is based, continues to feature the 5-speed manual mated to the same motor. Other Touring Sport variants – the 2.8-litre diesel (6-speed manual) and the 2.7-litre petrol (5-speed manual/6-speed auto) – remain mechanically unchanged. 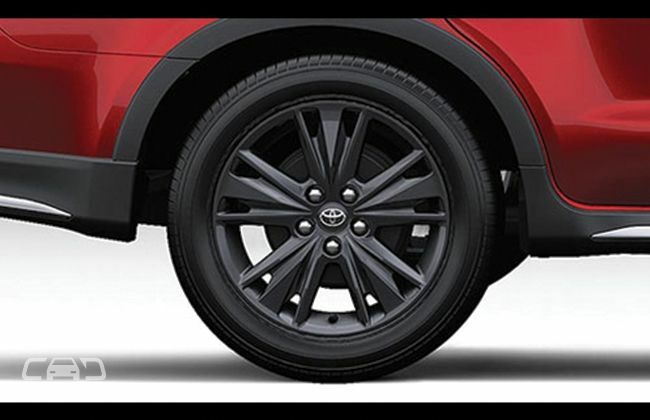 The Touring Sport range now gets 17-inch alloy wheels, which has been reintroduced in the standard Innova Crysta as well. It also gets LED fog lamps and an infotainment unit with a navigation system as standard. The diesel variants of the Touring Sport now get an auto start/stop system to improve fuel efficiency too. With the latest updates, it seems like Toyota is trying to compensate for the price hike post the increase in GST cess for mid-size, luxury cars, and SUVs. To put things in perspective, the Touring Sport 2.4-litre diesel manual variant now costs Rs 19.60 lakh when compared to Rs 18.91 lakh (all prices ex-showroom New Delhi) when it was launched four months ago.